Early in their collaboration, FAILE explored how a minimalistic image can be powerful enough to trigger a collective memory - such as the John F. Kennedy assassination or the attack of the World Trade Center in 2001. The duo considered their affinity with the Challenger Space Shuttle exploding after take-off in 1986. Both were in grade school and pulled out of class to watch the launch live on television. They witnessed first hand the tragedy that unfolded. 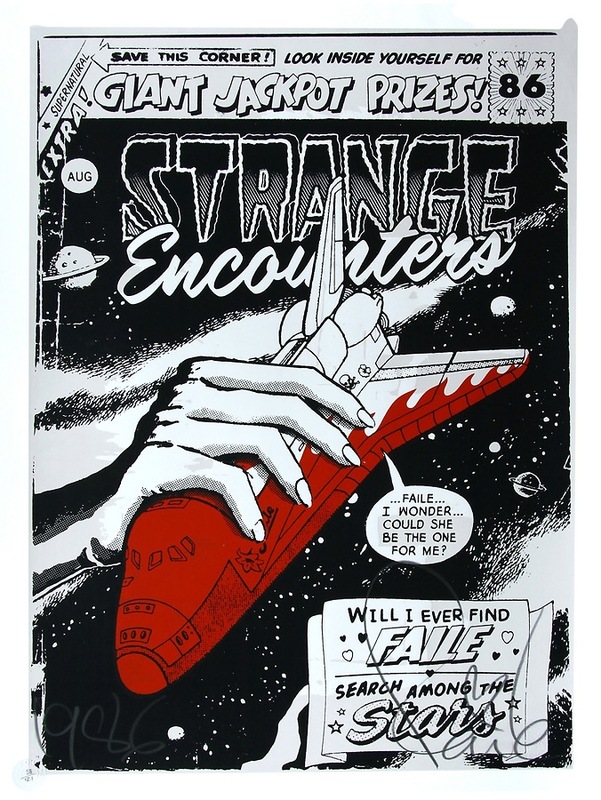 FAILE has often used the image of the Challenger Space Shuttle in their work and sign their pieces with ‘1986’ instead of their names.